Happy Monday lovelies, how was your long weekend, I hope you had amazing time. I haven't bought or talked about Lancome products for so long, but it's time to remember one of my favorite beauty brands, that I had been loving last couple of years. I'm talking about Lancome, of course. After a little break, I started purchasing Lancome products again. 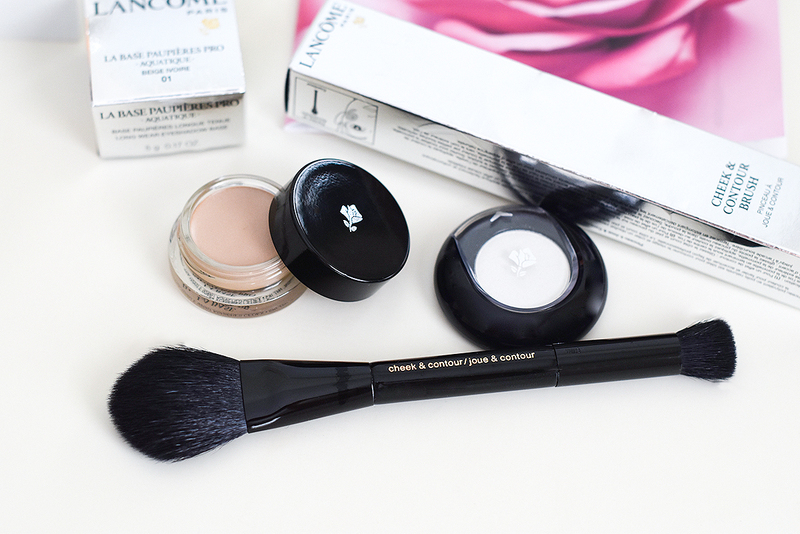 I got Lancome Long Wear Eyeshadow Base in beige 01, also Lancome Color Design single eyeshadow in Drape, and Lancome Cheek&Contour Brush #25 : I love this brush by the way, even tough I'm not crazy for double ended brushes. I belive, it was worth my $40. 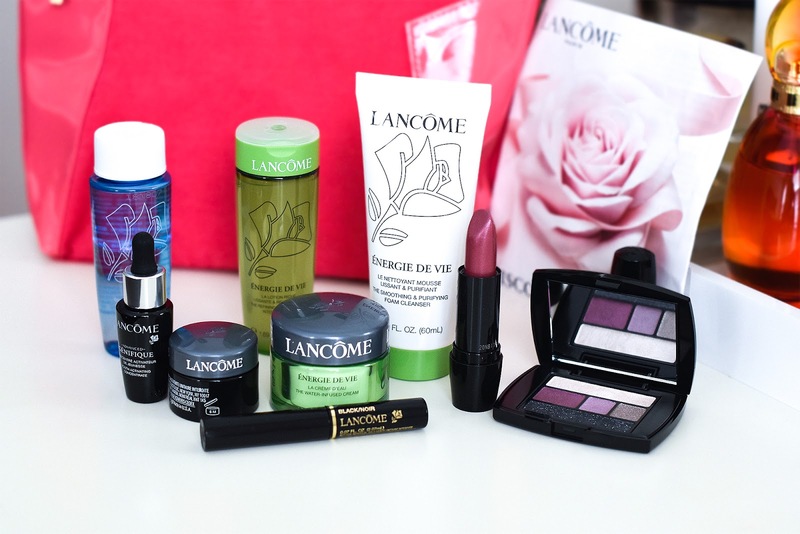 I have tried these Lancome mascara, lipstick and eyeshadow palette as well as eye makeup remover but not Lancome Energie De Vie Skincare line, so, I'm very curious how it will work for my dry, sensitive skin. So stay tuned, the reviews are coming soon. Thansk for reading, wish you all a fabulous day. That brush looks super handy! im not usually a fan of dual brushes either but this does look very good! I never saw dual brushes and now I would like to try it! Lancome is a great brand and I am glad you got so many things and afterwards, so many presents! Will wait for your review next, cause I also have sennsitive skin! Wishing you a great week! Haven't used Lancome in a while but need to check it out again. Thanks for sharing all the products! I would definitely have a splurge if I was getting those gifts! I haven't tried Lancôme before, interested to see your reviews! I haven't used anything from Lancome since forever so I look forward to your reviews, Nina. I just got a Lancome brush and was very impressed. I am very interested in hearing how you like their skincare. I have the same type of skin as you. The brush looks like something I need asap, love the size of it and it would definitely be a stable in my makeup bag. Great brand, great haul. Enjoy babe! The brush looks very interesting.